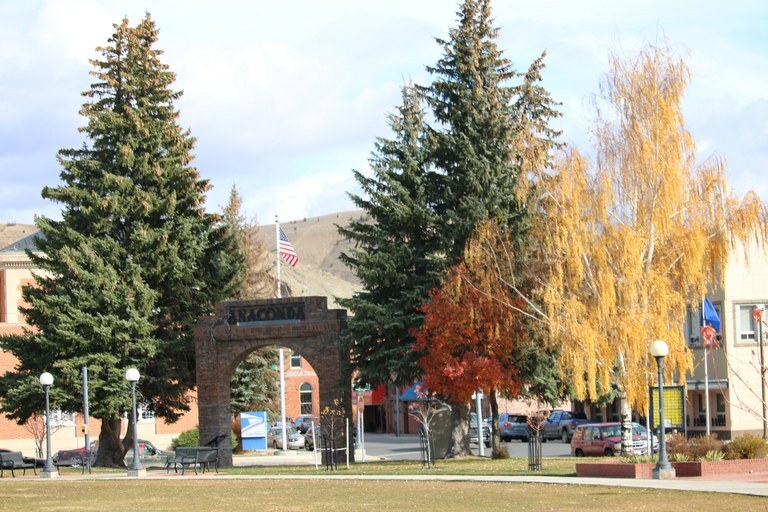 The goal of the Montana Urban & Community Forestry Program (UCF) is to assist with the development and maintenance of local urban forestry programs. Technical assistance and training for communities and tree care professionals. Financial assistance to communities and non-profit organizations. Public education in support of planting trees in urban environments. Volunteer coordination assistance to encourage participation at the local level. The Montana Urban & Community Forestry Program is funded through a grant from the USDA Forest Service. Staff includes a state coordinator and three regional urban forestry specialists. Urban forestry is the care and management of trees in urban settings (i.e., our streets and backyards). Urban forestry advocates the role of trees as a critical part of the urban infrastructure. They are dynamic ecosystems that provide environmental services such as energy conservation, better air quality, economic vitality, reduced storm water runoff, carbon sequestration, and beautifying communities. Urban foresters plant and maintain trees, select appropriate trees according to conditions, support forest preservation, conduct research and promote the many benefits trees provide. Urban forestry is practiced by municipal and commercial arborists, municipal and utility foresters, environmental policymakers, city planners, consultants, educators, researchers and community volunteers. Visit http://www.fs.fed.us/ucf/ to see what is happening in our urban forests nationwide. MT Urban & Community Forestry Assoc.